A relaxed skating session will be held on Friday 29 December at 10am – 11am. Low music and no strobes aim to make this hour as inclusive as possibe. Description: There will be trained baby carrying advice from Jess Hippey, owner of Close and Calm, and a sling library with a large selection of rentals available. Should you wish to go on to buy a carrier after this, please inform Jess as discount codes are available for customers. We will charge a £2 entry fee to cover room hire, insurance and professional fees but will serve you tea, coffee and yummy cakes in exchange. Children , partners and family are welcome, and there is an unsupervised creche area available. Description: Pop Up Bookshop at Tin Coo – grab your lunch, let the kids play and do some Christmas shopping! Description: Santa only has one home this Christmas, and that’s Bon Accord! His magical winter wonderland opens on Friday the 17th of November. Wear something spotty, prize for best spotty outfit! Colouring Competition pop in and pick up your favourite picture of Pudsey Bear! Pudsey Cakes and Treats, trying to raise as much money as we can for Children in Need! And of course our raffle – £1 a ticket and buy one get one free on tickets on Friday!! Prize- YEARLY PASS FOR SCALLYWAGS SOFTPLAY!!!!!! Description: Come along to our shopping and pamper evening – featuring lots of stalls from local businesses, and a pamper zone with beauty treatments. Make a start on your Xmas shopping while enjoying a glass of fizz with your friends! Tickets are £5 and include a glass of Prosecco or a soft drink and nibbles. We’ve got the festive season all wrapped up. 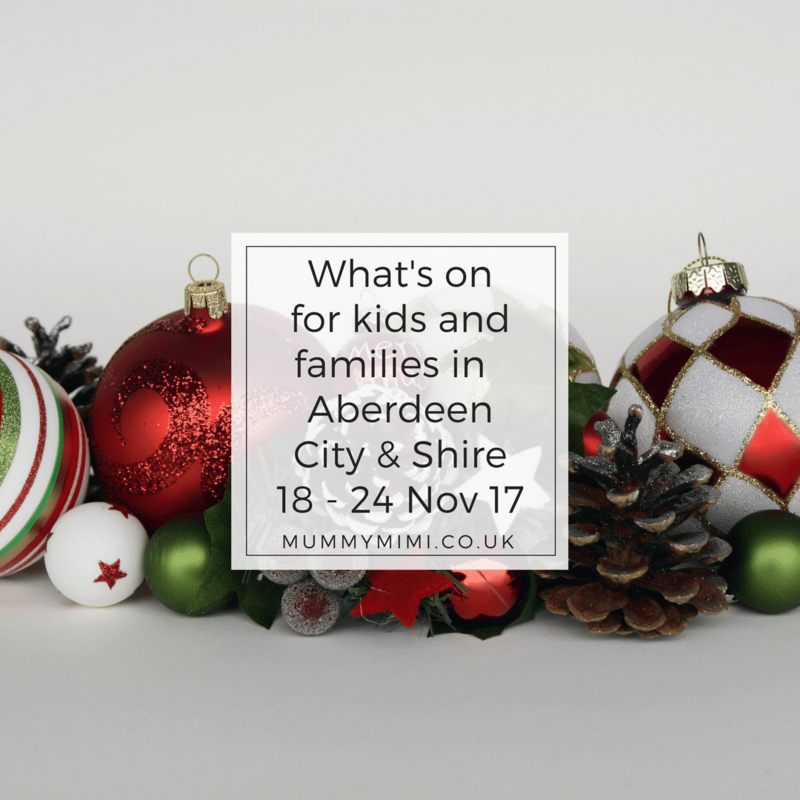 Don’t forget you can also check out our events calendar for lots more events happening in Aberdeen City & Shire in the run up to Christmas! Description: The Barn’s signature Craft and Design fair is returning this year with a festival format and includes satellite makers-venues and an exciting programme of hands-on craft workshops. This year flock provides even more opportunities to make, experience and purchase high-quality craft and design pieces from over 50 of Scotland’s top makers. flock brings two days of the best Christmas shopping in Scotland to your doorstep – come early and beat the crowds! Description: A Scottish name for dragonflies is “blazing flies”! These impressive predators need areas of open and vegetated water to breed and hunt. The work of opening pools and channels within the marshy area to the north of the reserve began over five years ago and you can help the aquatic wildlife of Scotstown Moor LNR by joining the Rangers to open up this area further. Gloves tools and hot drinks will be provided but please bring wellies and a packed lunch. Meet at the Reserve car park off Scotstown Road. First bus 2 goes to Scotstown Road and First bus 8 goes to Dubford Road close by. 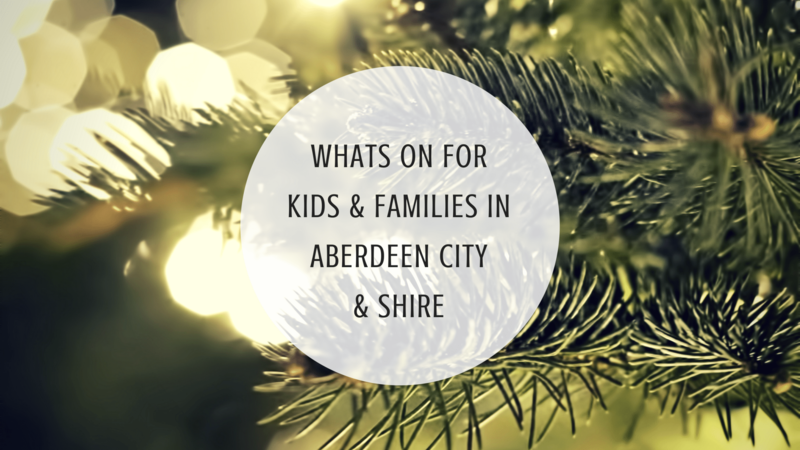 Booking essential – please call 01224 326 429 or email countrysideranger@aberdeencity.gov.uk to book your FREE place! Description: Come along and meet our minibeasts! We have some with six legs, some with hundreds of legs and some with no legs! Learn all about how to look after them! Description: Come along for a wonderful family afternoon with lots of fun, games and crafts for kids to enjoy, as well as stalls for shopping, tombolas and homebakes for all. The guest of honour will, of course, be making an appearance! Bring your kids along to visit the most amazing Santa in his Grotto at Culter Village Hall! We will have plenty of stalls with gifts available including highbrows, personalised Christmas gifts, handmade items, delicious sweets and bakes and much more as well. It is also worth mentioning some of the FANTASTIC raffle prizes that will be up for grabs! You could win a night at The Marcliffe at Pitfodels, cinema vouchers, entry for 2 adults and 2 children to The Den & The Glen, designer sunnies from Duncan and Todd Opticians, bottles, afternoon tea at Raemoir Garden Centre, a studio session and print at Flash Photography Aberdeen and much, much more! Be sure to come to the Fayre to buy your raffle tickets and be in with a chance! All the money raised goes to Culter Playgroup, which offers a fantastic service for young people and their families in the community. Description: Bring Home The Laughter This Holiday Season! Aaaahh! Frozen Fraserburgh are bringing an evening of festive family films with screenings of Elf at 4pm and Home Alone at 7pm On Saturday 18th November 2017. Don’t be a cotton-headed ninny-muggins – grab your tickets for our drive in cinema event at the NESCOL car park, Henderson Road, Fraserburgh. Have you checked out our latest video? Description: We will have a blessing of unicorns at Haddo on the 19th of November. Local children will be coming to Haddo with their unicorns to march through the park. There will be a few different unicorn elements: a face painter; unicorn cupcakes and hot chocolate in the Pheasantry; a raffle for charity; and unicorn themed goodies to buy. This is a free event, so no tickets required. It will also be weather dependent, so please keep an eye on updates. AGE – Adults and Children over 12 years old (due to sharp parts). This 2 1/2 hour workshop will show you how to make a Needle Felted Robin and a Sparrow. These little birds can be adapted into either a christmas decoration or a brooch. Book online – http://www.geekbothy.co.uk/product/needle-felting-workshop or pop in and see us at the shop. Please note that workshops are non refundable and dates can not be swapped, you are welcome to give your place to someone else, it doesn’t have to be the named person that booked the workshop attending. If the workshop is cancelled by the maker and/or Geek Bothy a full refund will be issued. Description: Nature Nippers for 1-5yr-olds features short walks, stories, games and crafts. Find out what’s happening as autumn moves into winter. Booking essential via url on Facebook event page. Description: Help our Elves prepare for Santa’s arrival! Do you have what it takes to be a REAL Santa’s Little Helper? Join our Elves in Santa’s workshop and help them make and prepare Toys and Decorations to take home! Our experienced Elves will help you make your own Toys and Decorations so that you too can help Santa, and take a little piece of Christmas home with you! Elves Workshop Bundle includes Indoor and Outdoor Play for a full day of fun, Crafts and a Toy or Christmas Decoration to take home! Sessions may not be possible to move and so it is important that you arrive on time and present yourselves to our Cafe team, or your slot may be lost. By appointment only, booking required. Dependent on the child’s choice, sessions can take anywhere between 20 and 45 minutes and takes place in Santa’s Grotto! A minimum of one Adult is required to supervise up to 5 children. Adult Admission cost can be added during the booking process or on the day. Description: Our Twin Town of Stavanger in Norway has once again kindly donated a magnificent Christmas tree. A carol service will be held at the Castlegate prior to the switch-on where the Lord Provost of Aberdeen and the Deputy Mayor of Stavanger will light up the beautiful spruce. Musical entertainment will be provided by Big Noise, Torry. This is a free event. Everyone welcome. Description: Fun fayre for all ages and pockets. Our quality crafters and quirky sellers will tempt you with amazing toys, foodie stalls, decorations, unique gifts including jewellery, fairy doors, handmade clothes, accessories, engraved giftware, hand painted glassware. Christmas shopping just got easy! Soak up some festive cheer with a fly cup and seasonal treat. Get a photo with Santa at the grotto, let the kids do secret parent shopping in the special gift room and try your luck at the raffle and tombola. Tons of top prizes to be won on the night. Please bring friends & family! All welcome.